DIY projects can be very fun and inspiring. 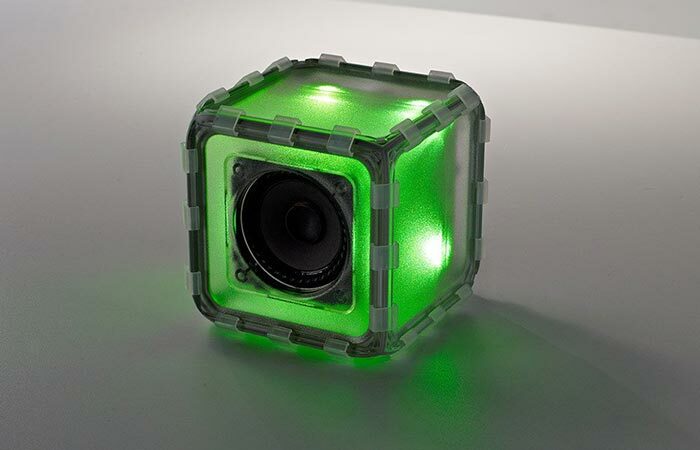 The idea behind BoseBuild, a build-it-yourself Bluetooth speaker cube, was to inspire curiosity, creativity and imagination. The beauty of this product is that it isn’t made only for kids but for all of you who would like to get in touch with your engineering side. 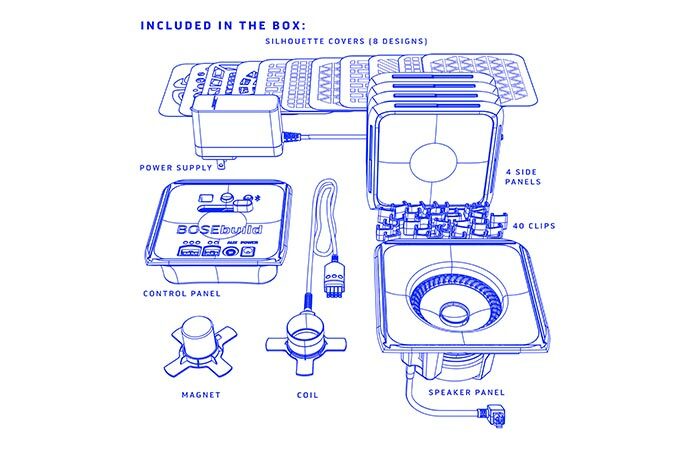 In the box, you’ll get everything necessary to construct your own awesome Bluetooth speaker. You’ll learn how sound, frequencies and waveforms work, what magnets and electromagnets do and what’s inside a speaker. One very cool thing about BoseBuild is that you won’t need any tools to get in assembled. All the cables and connectors are easy to handle and are quite big, so you can’t lose them easily. 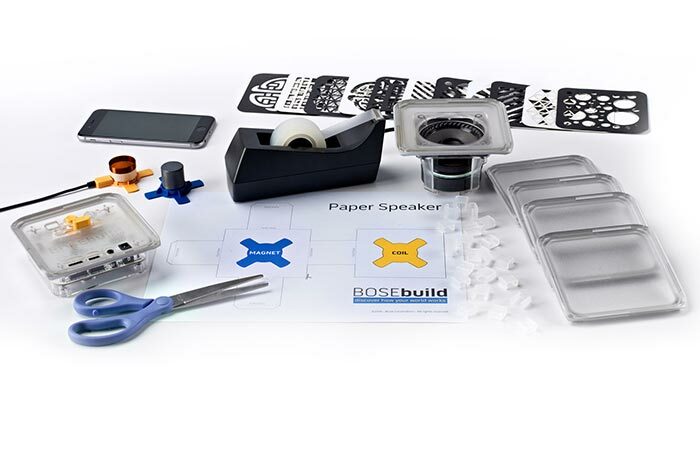 With Bose Build you will learn how to make a Bluetooth speaker without having to use tools. There’s a smartphone app that provides you or your kids with step by step instructions on how to build the speaker, accompanied with cool experiments and videos. The fun part with BoseBuild is that you can change the LED color light options whenever you like and make the lights go along with the beats. Another benefit of using this speaker is that you don’t have to worry about the battery, just plug it into a standard power outlet. Check the video below. BoseBuild is customizable since it allows you to change LED lights. Also, you can adjust them in a way that goes along with the music. The speaker is designed to be rugged and durable and has a 3.5 mm auxiliary input. The thing that will make the job easier is that the circuit board is clearly labeled. As for the size of the cube, it’s 4.75 x 4.75 x 4.75 inches and it weighs 1.75lbs. All the things that come in the box. Don’t forget to check out this BoseBuild video.